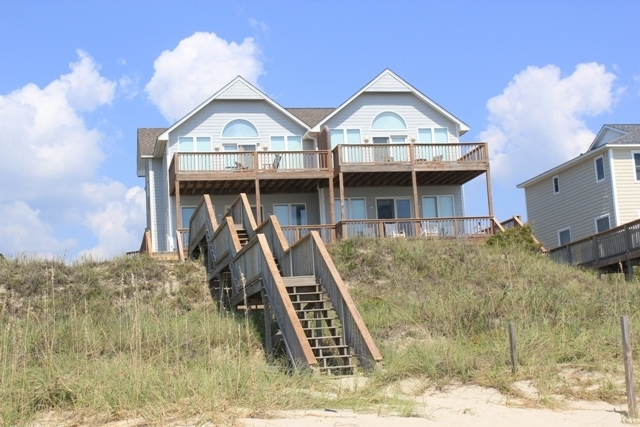 Oceanfront Duplex, 4 bedrooms and 3 Bathrooms. K*K*Q*2S. Living room, dining area, kitchen, 1 bedroom, 1 full bath on level one. 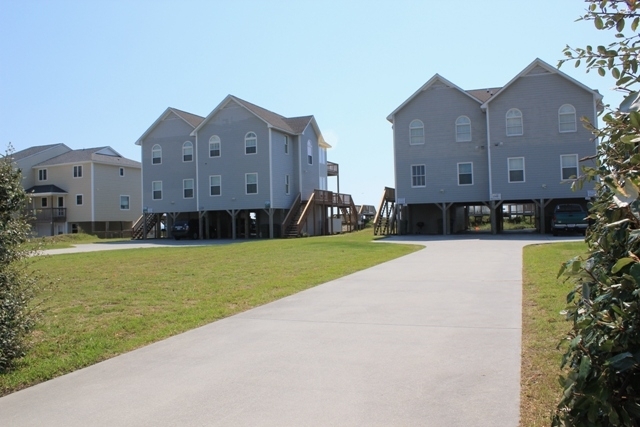 3 bedrooms, including the Master with private bath and deck on level 2. 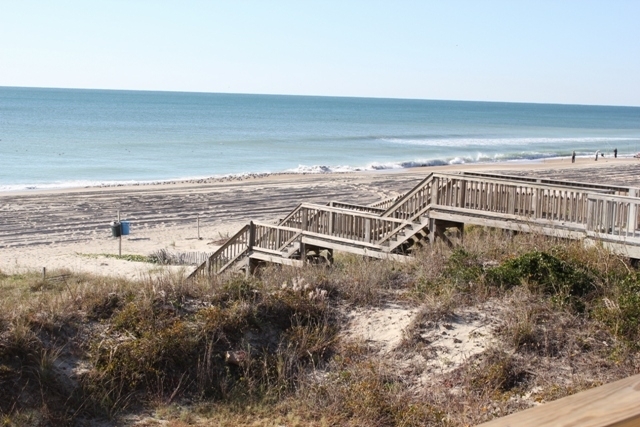 Location is within walking distance to restaurants, shopping and Bogue Inlet Fishing Pier. Central air/heat, microwave, 2 refrigerators, dishwasher, washer/dryer, ceiling fans throughout, 2 CCTV's, DVD, WIFI, charcoal grill, hot/cold enclosed outdoor shower, open and covered decks with large rocking chairs. Linens provided with weekly rentals. Rents Saturday to Saturday. No Pets! No Smoking! This is our third time staying in Kilpatrick West and we love the house. 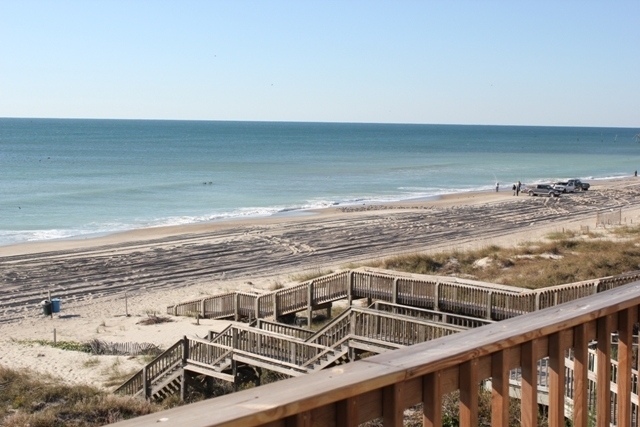 It is conveniently located and has a wonderful view of the ocean from the master bedroom and living room. 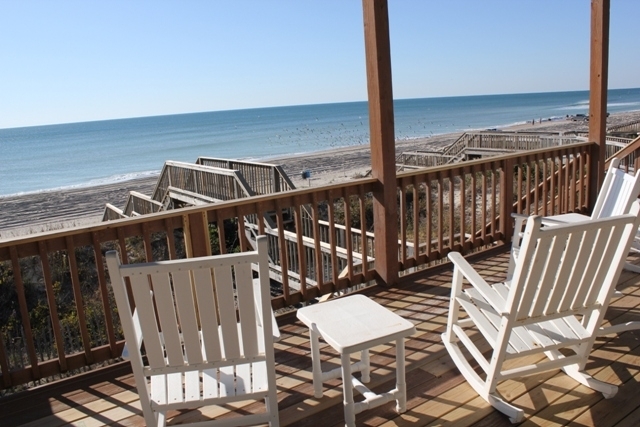 The back deck has rocking chairs that are perfect for relaxing and looking at the ocean at the end of the day. 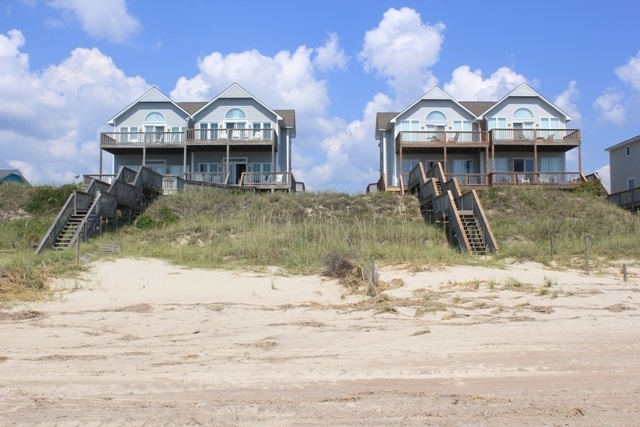 The house has every amenity that a family could want while on vacation. 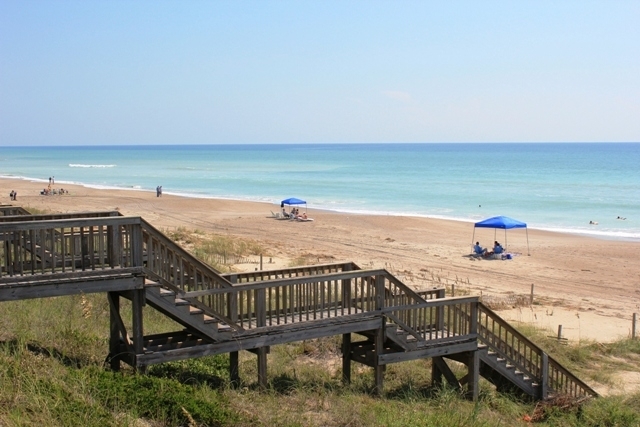 Beach access is easy from the back deck. We will definitely be back again next year. "It was our second time at Kirkpatrick West. 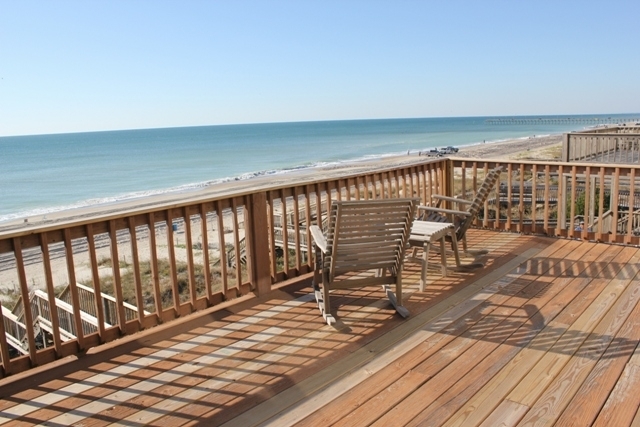 We loved the spaciousness of the house, the balconies overlooking the ocean and the quick access to the beach. Kitchen was well equipped. What was different this time from when we were there 10 years ago, was that the house seemed a bit more run down. Superficially it seemed clean, but living there I notice that it was in need of some good deep cleaning. Very sorry to say that, because we loved the house the first time around and had no complaints what so ever. Not sure if we'll come back." Thank you for your review, Magda! We are pleased to know you had a nice stay at Kilpartick West. If there is ever an issue, big or small, contact us right away so we may work to remedy it. Housekeeping issues are generally very easy to correct. Our goal is for your vacation to be the very best one ever! We certainly hope you stay with us again next year!